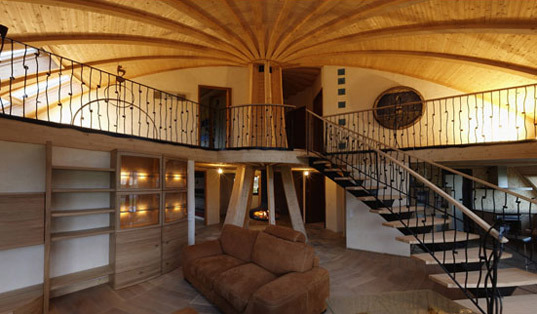 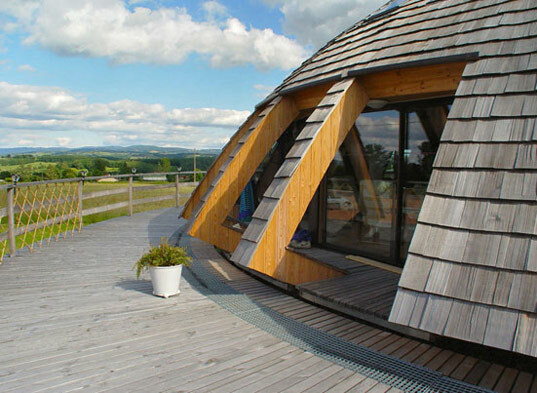 Imagine a circular loft with plenty of skylights and a solar array on top, gently rotating to orient itself towards the sun, and you have the basic idea of what goes into a <a target="new" href="http://www.solaleya.com/">Solaleya</a> Domespace home. 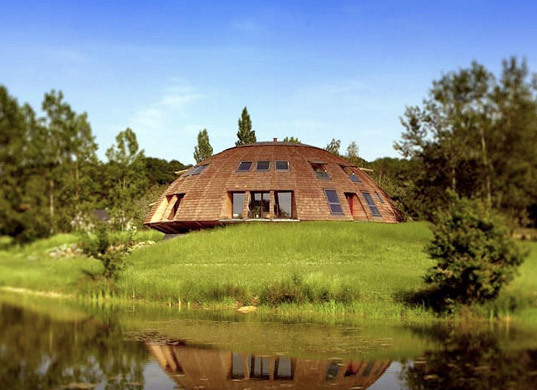 Like an eco-friendly update to the <a target="new" href="http://en.wikipedia.org/wiki/Chemosphere">Chemosphere</a> in Los Angeles, the domes are constructed with only <a target="new" href="https://www.inhabitat.com/2008/09/24/som-cathedral-of-christ-the-light/">FSC-certified wood</a> and have been proven to withstand category five hurricanes and earthquakes up to magnitude eight on the <a target="new" href="http://en.wikipedia.org/wiki/Medvedev-Sponheuer-Karnik_scale">MSK</a> scale. 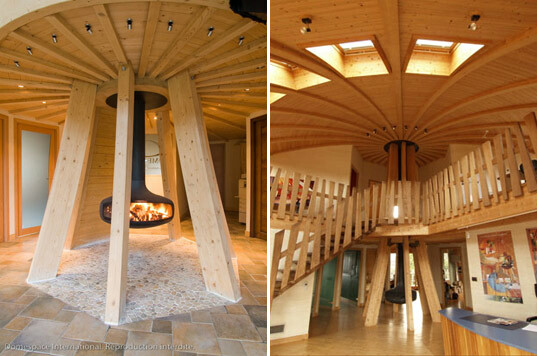 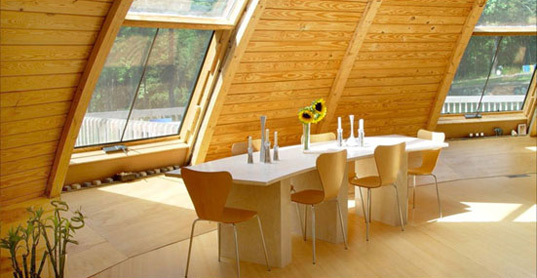 Natural material use inside creates a warm ambience and healthy interior environment. 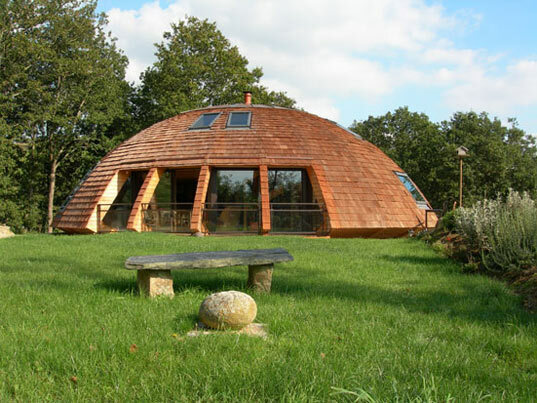 Imagine a circular loft with plenty of skylights and a solar array on top, gently rotating to orient itself towards the sun, and you have the basic idea of what goes into a Solaleya Domespace home. 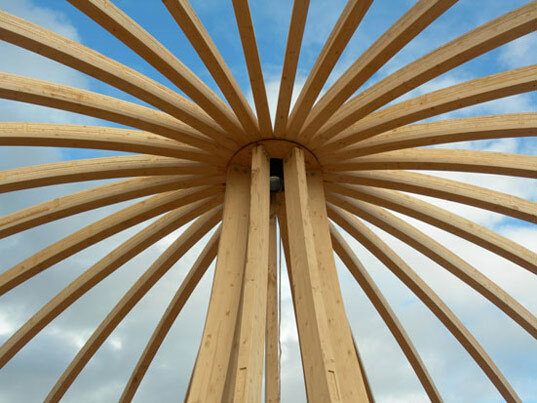 Like an eco-friendly update to the Chemosphere in Los Angeles, the domes are constructed with only FSC-certified wood and have been proven to withstand category five hurricanes and earthquakes up to magnitude eight on the MSK scale.